Put yourself for a moment in the shoes of a small-scale farmer in rural Mozambique. Two weeks before harvest, a massive flood wipes out your entire maize crop. You had been counting on this harvest for most of your annual income and much of your food. What would you do? How would you cope? When Alina, a woman in northern Mozambique, lost all of her chickens and most of her ducks to disease in September 2014, her options were limited. She did not have access to a savings account, emergency credit or insurance on her farm to recoup her loss. Her only choice was to cut out meals, and from January through May she often went to bed hungry. In addition to being ill-equipped to cope with health, financial, and agricultural risks, smallholder families in CGAP’s Smallholder Diaries study had little recourse when something went wrong. For example, Bertha, a widow with five children in Tanzania, lost about half her potential annual agricultural income when a local buyer never paid her for a sizeable amount of potatoes. They had not made a formal sales agreement, and she did not see a way to get this money or to avoid the same problem down the road. There are an estimated 500 million smallholder households globally, amounting to upwards of two billion people. Mostly small-scale farmers cultivating less than five acres, they make up a significant portion of the world’s poor who live on less than $2 a day. That is why improving the lives of this huge group is a priority in efforts to end global poverty. Until now, however, very little was known about the financial lives of smallholders, making it unclear exactly how to help. CGAP’s Smallholder Diaries fills some of this information gap and offers recommendations for the types of financial services, assistance, and training that could improve lives. The yearlong study, modeled on the methodology pioneered by researchers in the book Portfolios of the Poor, tracked the income, expenses, and agricultural production of 270 smallholder families in Mozambique, Tanzania, and Pakistan. In-depth interviews conducted every two weeks generated approximately 500,000 data points on the financial and agricultural lives of these families. But the results of the study go beyond the data. This research opens a unique window onto the livelihoods of smallholder families and how they manage their money, providing insights into the struggles, risks, and trade-offs these households face on a daily basis. The rapport established between researchers and family members allowed rich details to emerge that could not have been captured in a one-time survey. The CGAP Smallholder Diaries shows that farmers face distinct risks and challenges depending on their circumstances. Armed with the insights from this research, it is no longer practical to talk about smallholders in general terms. Financial service providers seeking to reach farmers as potential customers or others aiming to improve the lives of these families need to be more deliberate in their approach and create more tailored solutions. Almost two-thirds of the families in the Mozambique Smallholder Diaries lost significant portions of the crop to pests in storage. Improving post-harvest storage could be an opportunity to improve both their agricultural and financial lives. The Smallholder Diaries households in Tanzania demonstrated the most interest in mobile money, but relatively few families actually used it over the course of the year. Relevant and accessible digital solutions in Tanzania need to catch up with interest in using them. 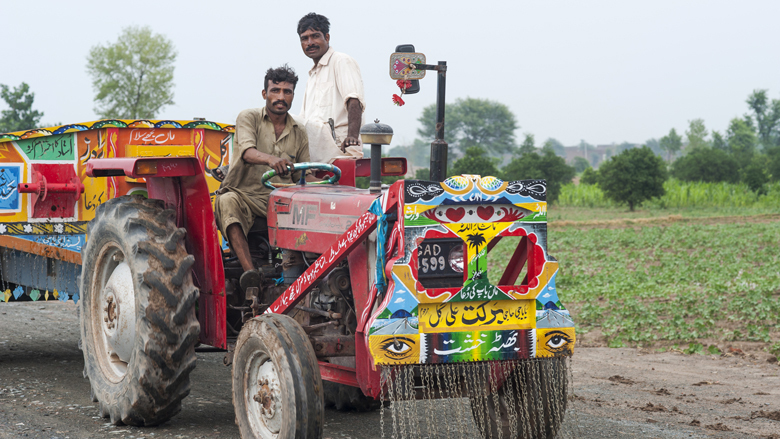 For the Smallholder Diaries families in Pakistan, their relationships with middlemen create both financial opportunities and challenges. The data and insights generated from the CGAP Smallholder Diaries identify ways to improve the lives of this important and often marginalized group. Originally published at The World Bank. Stories from the field: Can video footage of smallholder farmers in East Africa have an impact at the policy level?